Pasuje do drukarek: DeskJet 710C, 712C, 720C, 722C, 810C, 812C, 815C, 830C, 832C, 880C, 882C, 890C, 895C, 895Cxi, 1120C, 1120Cse, 1120Cxi, 1125C, 1180C. 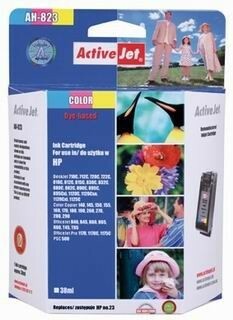 OfficeJet R40, R45, R60, R65, R80, T45, T65.OfficeJet Pro 1170, 1170C, 1175C. Color Copier 140, 145, 150, 155, 160, 170, 180, 190, 260, 270, 280, 290. PSC 500.